My mom once told me that when she was pregnant with me, she secretly wanted me to be a girl since she already had two sons. Then I came along, a boy, and she was a bit disappointed. For a long time, the three-letter word felt like a curse to me, something I was not allowed to say and even to think about. The fear of having my true self found out made me irritable and suspicious of everyone around me. This change in me of course one day caught my mom’s attention. I always had this feeling that my mom knew because I did a lot of things that a daughter might do. I am the one who would go shopping with her, help her pick out the outfits, and put on her makeup. She had asked me once before if I was gay, but back then I was scared of what might happen if I told her. So I denied it, and she gave me a look that I could never forget. I knew she didn’t believe me. My mom is a nurse, and deals with sick people, even people with AIDs everyday. Sometimes she would tell the story of how they got sick and how miserable they are now. When she did this, she would look at me as if she was warning me with her gaze. And I would look away like I wasn’t paying attention. But what she said made me even more scared. As if she was telling me, you will die if you are gay. I spent my childhood in the closet and the fiction world I built to escape, so I wouldn’t have to deal with the trouble that I should have faced. After my parents divorced, she became busier with her job, left with almost no time to concern herself, let alone my problems. For a long time, I thought I was the only one on Earth, the only boy who likes boys, and I thought I would spend the rest of my life being alone. As I grew up though I learned much more about being gay and the community. I learned that there are people out there who are just like me, that moment I felt like I finally fit in somewhere, and I was no longer the only one. As I graduated from elementary school and became an actual teenager, this problem that had haunted me for my entire childhood seemed a little less intimidating, a few close friends had already heard the truth from me, and their reactions were not how I had pictured them to be. In fact, they were all cool with it, like they had already seen a lot of people come out to them. My friends gave me the courage to finally take a good look at myself – more specifically, the part of me that I was most afraid to face. It was a short ride to the station, but she told me a lot of things, mostly warnings and her concerns, but surprisingly, her reaction was rather calm. She just wanted me to promise that I would never put myself in danger, like doing drugs, going to parties, or getting STDs. I kept rolling my eyes in the back seat, pretending to be impatient, because I didn’t want her to notice how nervous I was. The whole coming out process was too easy to believe. It made me feel so confident and I stopped caring about other people’s opinions about my sexuality, because if my own mother accepted me for who I was, the woman who brought me to life, then I didn’t need to feel sorry if people thought otherwise. After that coming out was a lot easier, and when I got into high school, I proudly came out to everyone I knew. Things weren’t perfect though. My brother told me my mom wasn’t that calm as she appeared to be, that after I came out to her, she went to him, trembling with tears rolling down her face, and told him that she was really worried about me. 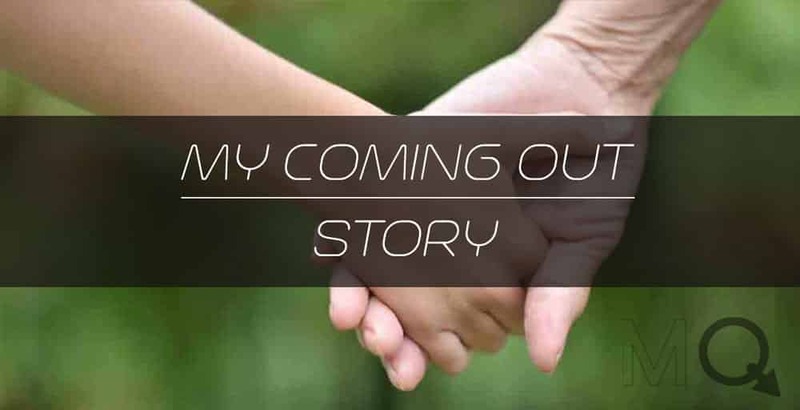 She said that she blamed herself for making me gay – that she thought she did this to me. She thought her wish for a daughter had come true and that because of her I would somehow wind up on the wrong path. Sometimes I can still feel that she isn’t really comfortable with everything yet. Even now I will try to mention bits of my dating life but feel that she is uneasy. I now try to communicate my life with her in small pieces, so that if one day she knows everything, she won’t need to take it all in at once. Even still, my mom still trusts me, and that’s what I am thankful for. I always thought that if I told her; she would change the way she looks at me. But she is still the same, and she believes that I will do right by her. Even today, I still can’t believe the fact that I have come out to my mother. Everything seems so different, yet things are surprisingly the same. Although the path that I am walking may not be the one that she prefers, she understands that I need to make my own decisions and live my life my own way. When I need to hide away or need someone to rely on, I know my mom will embrace me in open arms and love me unconditionally.